Up next is the Color Me Rad 5K in June! In the meantime I’ll be finishing up this semester, traveling to the UK and my home away from home, London (from May 8-May 18), and starting my last academic advising class before I graduate in July! Weeee! 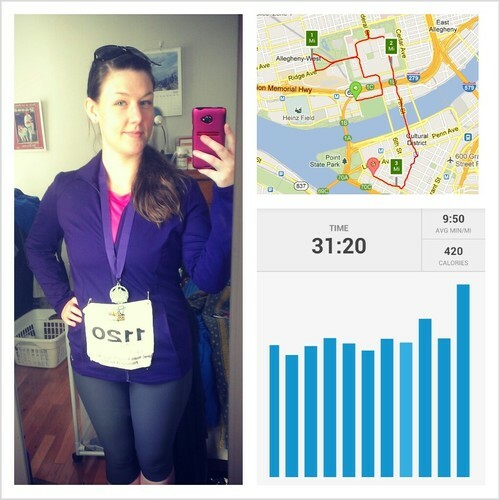 Congrats on your first 5K! No better place than Pittsburgh to do it!